First Fidelity Brokerage of New York has launched www.insureflood.com for homeowners and businesses to obtain flood insurance, as well as information about flood insurance. The site also has a link to estimate flood damage based on the height of the water and links to the federal program. Through the site, homeowners can fill out an application online or downloadable, and obtain a quote. The applicant receives terms from several different insurers and programs. After reviewing the quote and the terms, which may vary in price and coverages, the homeowner or businessperson can obtain coverage via the internet. There is no obligation to purchase coverage by filling out the application. The site is for homeowners and businesses in low and medium-risk areas as well as high risk areas. 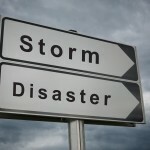 For the federal program, www.insureflood.com provides charts showing the cost for premiums to cover various levels of damage and also for personal property with a link to the National Flood Insurance Program to obtain that coverage.